Capture all your adventures in high resolution with the Safari 3 HD Action Camera. The Safari 3 HD supports frame rates as high as 1080p at 60fps, and offers super slow-motion at 120 frames per second in 720p mode. 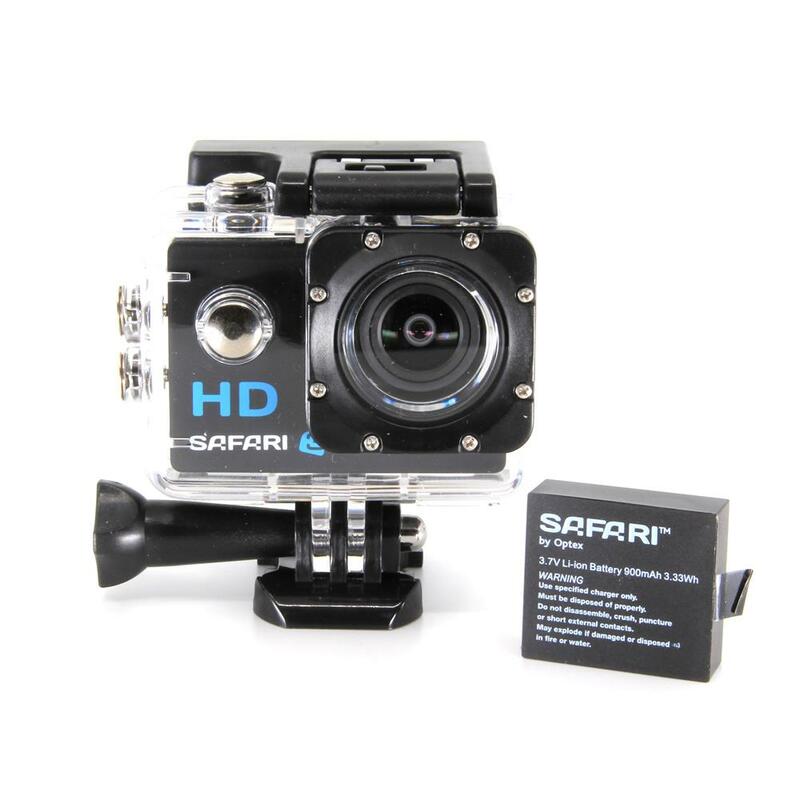 The Safari 3 HD action camera features a 170-degree ultra-wide angle lens to ensure you'll never miss the action in front of the lens. No cut off heads, no need to keep backing up, it's all there in impressive HD quality. Download Safari Connect 3 in the iOS or Android App Store and unlock the full potential of the Safari 3 HD. Easily control your cameras settings, start/stop record, get a live image transmitted to your photo, or download videos and photos directly to your smartphone.